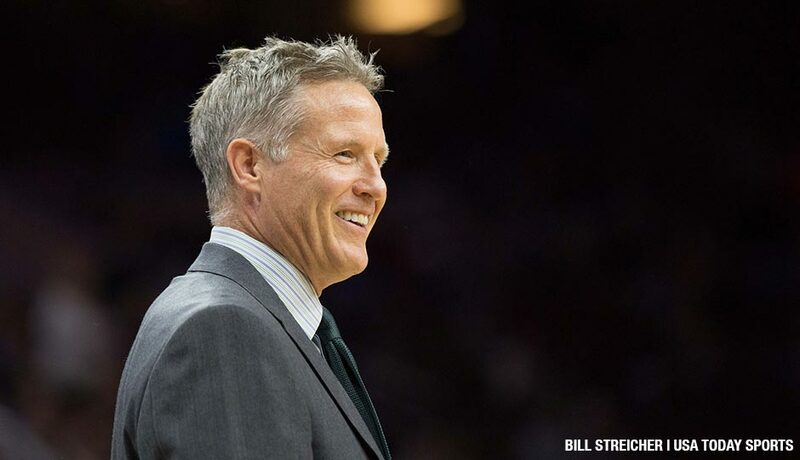 Bryan Colangelo: "Brett Brown Is the Coach of This Team"
New Sixers president of basketball operations Bryan Colangelo told CSN Philly's "Breakfast on Broad" that Brett Brown is the coach going forward. By Derek Bodner·	 4/14/2016, 9:16 a.m.
New president of basketball operations Bryan Colangelo says that Brett Brown is the coach of the team going forward. Whenever there’s a regime change, questions immediately surface about the future of the incumbent head coach. That’s been no different with the 76ers, as Ken Berger of CBS Sports reported that Bryan Colangelo, the Sixers new president of basketball operations, may be tempted to let head coach Brett Brown go in order to promote Mike D’Antoni, who worked with both Jerry and Bryan Colangelo in Phoenix. The Sixers hired Mike D’Antoni just days after hiring Jerry Colangelo as chairman of basketball operations. D’Antoni led Phoenix to a 253-136 record in his five seasons with the Suns. Besides Jerry and Bryan Colangelo, D’Antoni has another supporter in the organization in CEO Scott O’Neil, who was with D’Antoni in New York when O’Neil was the president of Madison Square Garden Sports. D’Antoni coached the Knicks from the beginning of the 2008 season up until he resigned during the 2011-12 season. He had a 121-167 record in New York. Bryan Colangelo tried to quell those rumors during his appearance on Breakfast on Broad today. “I told the ownership Brett Brown is the coach of this basketball team going forward. 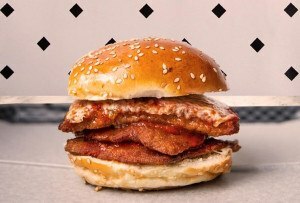 I left no question [to that],” Colangelo told the Breakfast on Broad team. “Brett Brown deserves the opportunity. He toed the company line for the last three years, he’s done everything this organization needs him to do, he’s been in the community, coaching clinics, coaching kids. He’s a lifer. He’s a basketball guy. “I think Brett Brown is going to be a big driver in what we do,” Colangelo continued. Colangelo gave credit to Brown for keeping the team focused through such trying times. “[Brown] coached these guys to be competitive each night. They may not be competitive for 48 minutes, but they were playing their hearts out. That’s a skill in and of itself,” Colangelo told Breakfast on Broad. Colangelo acknowledged the chance that Mike D’Antoni could leave this offseason. “I think Mike D’Antoni might even go away to another job opportunity,” Colangelo said. “There’s speculation on certain jobs in the league and I think Mike’s a perfect candidate for a couple of them, but I hope he’s here because I really think he’s a good basketball coach that can add a lot to what Brett is doing. Colangelo was less certain when talking about the rest of the basketball operations staff. All of this sets up what could be an interesting summer of change.